Considered one of the most dynamic, “high octane” speakers in America, Harvey Alston has been a full-time speaker since 1989. He has spoken to millions of people throughout the United States who have benefited not only from his knowledge, but also from the wisdom that Harvey Alston brings to the finish line. Harvey Alston’s unforgettable words of individual responsibility for achievement have improved spirits, spurred growth and changed lives. His powerful, soul-searching presentations uplift audiences to a higher standard and to a level where they strive only for the best. Harvey Alston believes in solitary achievement, shared accomplishment and the dignity of human beings. As one of the most in-demand speakers in America, Harvey Alston’s career has spanned positions from head football coach of Columbus East High School in Ohio in 1968, to assistant director of student financial aid at the university level. As an educator he’s taught English, biology, health, life sciences and math curricula. 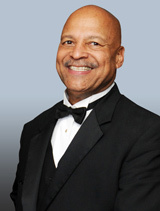 Over the years, Harvey Alston has received recognition and awards from such diverse groups and organizations as the Ohio House of Representatives as one of Ohio’s Finest Citizens, the City of Columbus declared a Harvey Alston Day, he was commissioned a Kentucky Colonel, and has received numerous national recognitions and awards. However, none has more impact than the response from those individuals whose lives have been dramatically changed. People walk away from Harvey Alston’s presentations knowing they have just heard someone who “has been around the track a few times” and one who shares it in a way that people do not forget. He has the courage it takes to remind people that life is only what they make it, that self-respect does not come with the job, but is brought to the job by people who do the best they can do, with whatever work is available to them. Harvey Alston’s enterprise is called Best Inc., based on his philosophy and the book titled Be the Best. He is the Coordinator for the Ohio High School Athletic Association Student Leadership Conferences, the largest Athletic conference in the country, serves on the advisory board to the National Federation of High Schools, the Upper Valley Joint Vocational School and many civic boards, panels, and commissions, a contributing writer and photographer for the N2Publishing Magazines, and a member of the National Speakers Association. Customer Service- S.O.U.L. "Service On Unbelievable Levels"
We will develop strategies for the BEST customer service by planning the future of your employees. We will research different delivery styles of successful businesses that have an understanding of what it takes to motivate employees. After identifying what the organization has done to improve their service, we will make a plan to change our visions. We will discuss ways to "Know Your Child's Interests", "Using TV Wisely", "A B C'S of Parenting", "Advice for Living with Pre-Teens", "Parents Watch Your Language", and "Discipline, a Preventive Force". The program for student behavior, "How well do you like yourself" will teach skills for getting parents involved. We will cover why some students don't understand what they are reading. We will cover strategies for developing trust, power, and rules for raising what is considered to be a delinquent child. Start with sharing your own "credo" or "code of conduct". Have you thought about the rules that guide your life? Do you act as a result of your parents, teachers, or friends expectations? Or do you act because you have decided what you think is right? What influences your life choices? In this exercise you will write your own "code of conduct." We first start by asking the following questions, "What is bullying"? What is the difference between having a little fun and hazing? After discussing the responses and then sharing the answers with the group, we will break into smaller groups. Role play situations will be passed out and the groups will have to come up with some answers on paper. The answers will be presented to the whole group by the smaller groups. And then we add the "TWIST" to each situation by changing the charters of who this might have an effect. Each table will have the same topics. We first start by asking the following questions, discussing the responses and then sharing the answers with the group. How do you define integrity? What is honesty? Are there varying degrees of honesty? What makes a person dishonest? After the definition of integrity is discussed we will break into smaller groups. Questions will be passed out and the groups will have to come up with some answers on paper. The answers will be presented to the whole group by the smaller groups. This session will focus on the ability to impact those around them using some of the skills they have learned today and their personal code of conduct. The group will be lead through a worksheet which will teach them how to resolve conflicts. Role play will be used to show some of the daily conflicts that people face in achieving their goals. The larger group will write down a few excuses they used yesterday. If the group is large, break them into smaller groups, and present the Table Topic question called "consider this". The smaller groups will have to select one of the situations or problems and present the solution to the whole group. Each solution must apply to "The Test" of honesty, integrity, and the good of all and one. Each group will come up with a long list of excuses that they have given over the years. Have them pick the "BEST" top ten excuses and write them down on the Big Paper. Each group will be given a large paper and each member a different colored marker for their group. They are to write down one characteristic of good leadership and pass it to the person on their right in their group. They go around as many times as they can. Everyone must participate. Then the group will be asked to turn over the paper to draw a picture of a good leader using the characteristics of good leadership. This does not have to be a pretty picture, but one that should illustrate the characteristics. For example, it may have a big "EAR" to illustrate that a leader is a good listener. Have each group share their characteristics and their picture with the entire group. A prize can be given for the "BEST" poster. Written in a light, anecdotal style, Be the Best encourages you to be the best you can be- both personally and professionally. Alston puts his energy and enthusiasm into a book that provides step-by-step solutions to personal success and happiness in an extremely readable format. Rags to riches stories inspire most people, which make this book so appealing. It's written by a common man- containing common advice-to common people. A psychologist, a sociologist, or a trained child-rearing expert did not write Black Males. Instead, it was written by a concerned African-American father who cares deeply about the future of his children and of yours. Alston draws from his own rich cultural experiences as a parent to present a book that takes a sometimes serious, sometimes humorous, look at parenting. Black Males is about pride, heritage, integrity, and celebration.